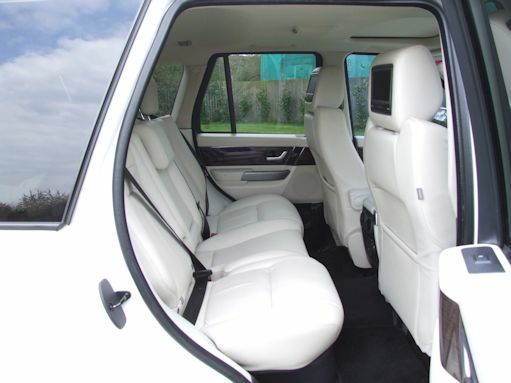 Our Modern 4 seater Range Rover, is known as Rosie. 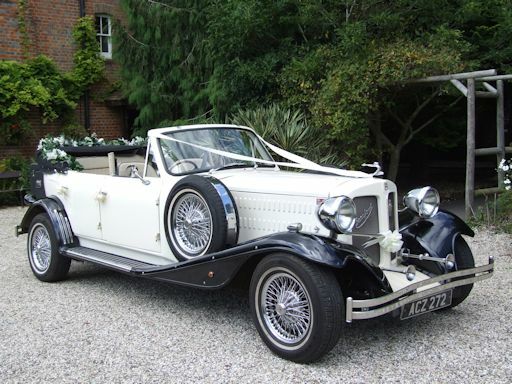 She has been used for the Bridal party, especially children who need isofix seat belt fixings in a car. 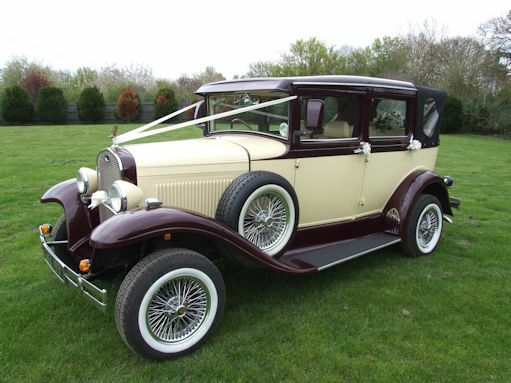 This car can also take the Bride and Groom, so she is very versatile. With cream interior, air conditioning, and stunning looks, she works well with the other cars, so your whole party can arrive together. 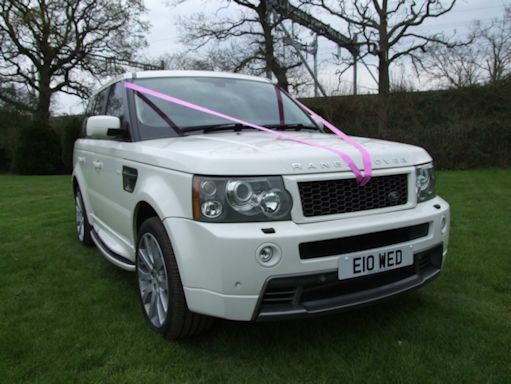 As Rosie is white in colour, a choice of ribbons can be yours as normal to match your flowers and Bridesmaids dress colours, so you all match.